It was a public holiday again yesterday! Malaysia is such a good country to work at as we have many public holidays in a year compare to other countries. Many of my overseas friends always get jealous of me since I always said to them "tomorrow is our public holiday". Haha! Anyway, I had a good day off. Spent a lovely afternoon with my family. 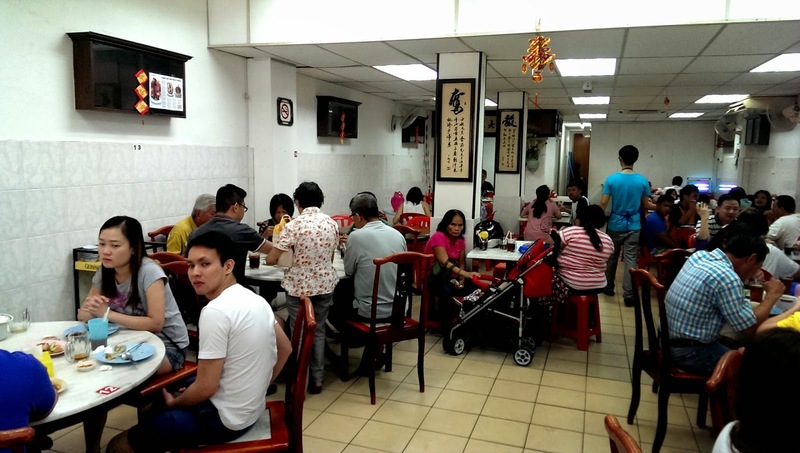 We went to a roast pork restaurant located at Pudu Ulu, Cheras. This is highly recommended by my daddy! He urge to come back again with us after his first trial with his workers. The eating environment is not bad because they have room with air conditioners. They have variety of choices! Unfortunately, we didn't get to try their roast chicken as it all sold out during our visit at 1 pm plus. Bet the roast chicken must be good till it has gone so FAST! 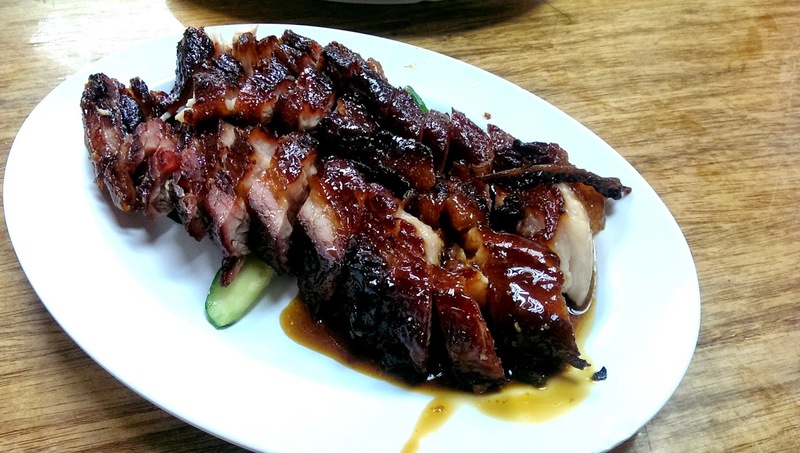 So, we ordered their most famous char siew! We first ordered 1 portion for 4 person, and then added on another 2 person portion because that's not enough for us, with total 5 adults and 2 kids. 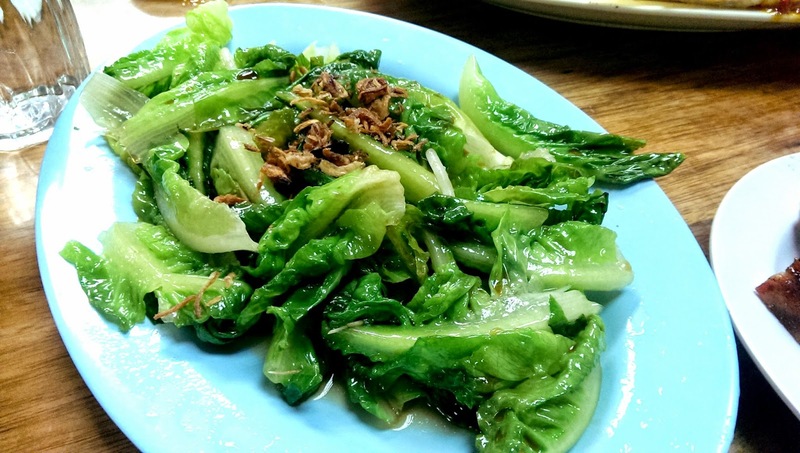 It cost RM 26 for 4 person portion. It's a bit pricey, but I think it's quite worth it becoz I think this is the best char siew I had so far in the town! 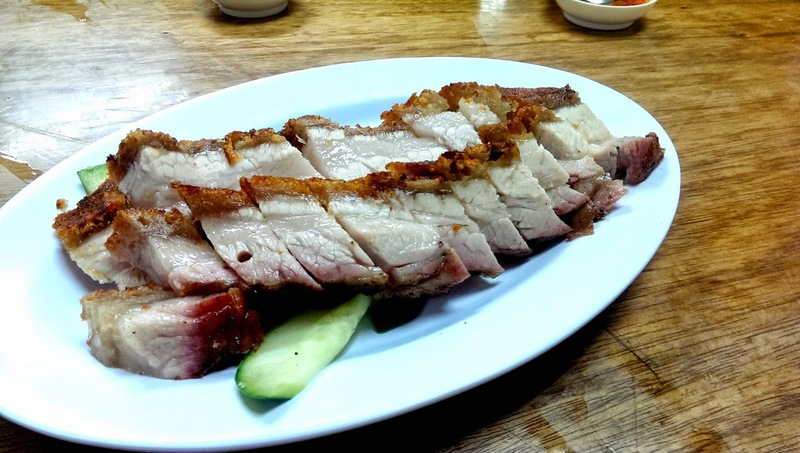 We also ordered 4 person portion of roast pork at RM 26 as well. It was not too bad, but if you ask me if this taste really superb? I guess not. 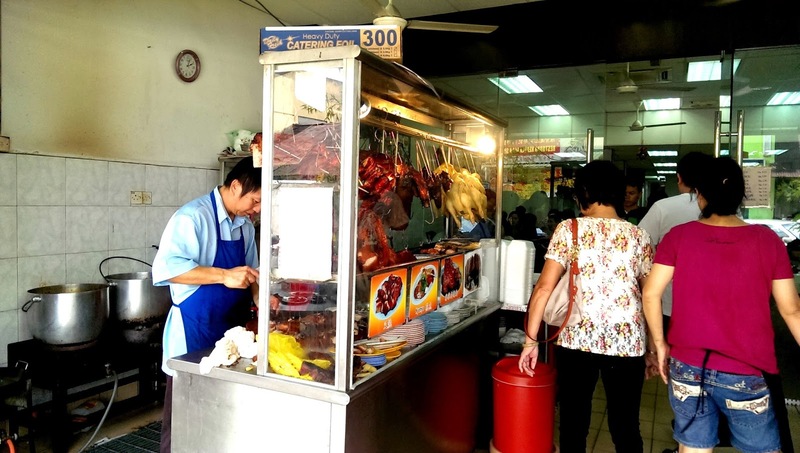 I still prefer the roast pork from 王美記 @ Jalan Pudu. Simple vegie cost RM 6. My family all love fish a lot. So this has become a must order dish every time we visit a restaurant. 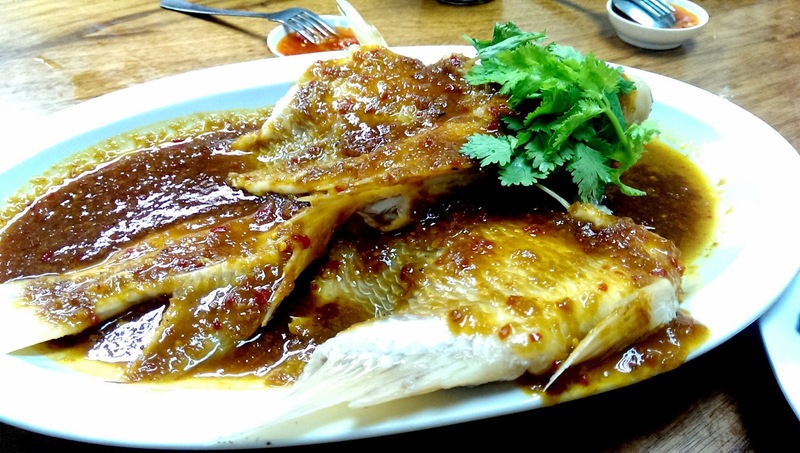 This Nyonya steamed fish, RM 27 has passed the taste test from my family! The waiter also recommended us to try their chicken feet. 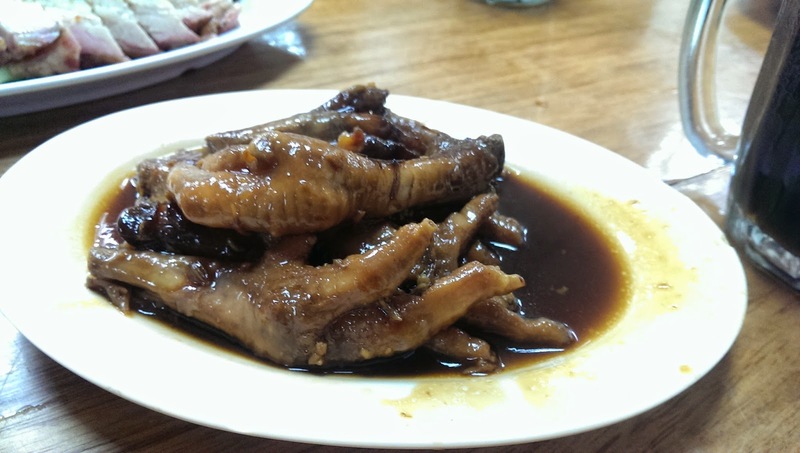 I am a chicken feet fans, so I quite like it but it cost RM 4 for such a small portion. 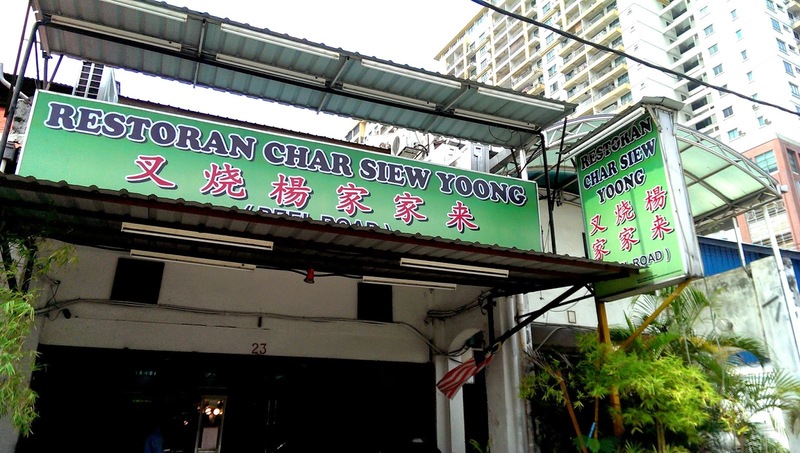 Overall, the food from Char Siew Yoong are pretty good. 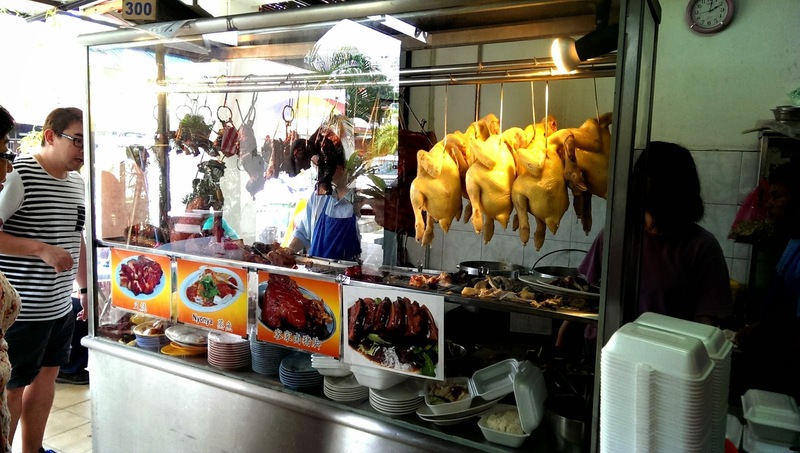 And I am sure I will come back again for their juicy and yummylicious char siew!